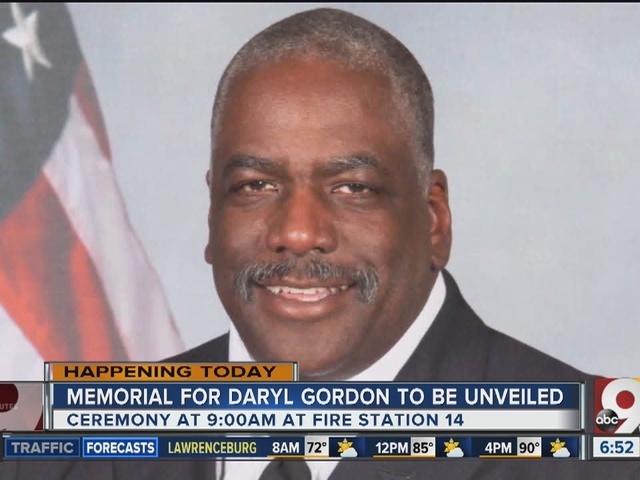 CINCINNATI -- A memorial plaque honoring fallen firefighter Daryl Gordon was unveiled at 9 a.m. Monday on the Central Avenue side of fire station 14. 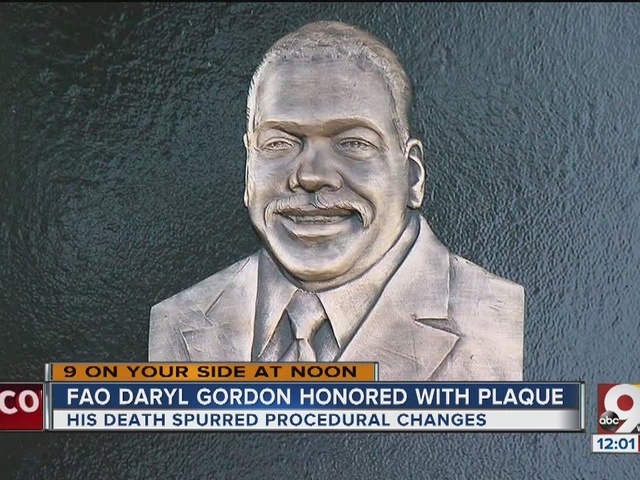 Members of the Cincinnati Fire Department and city administration gathered with Gordon's family to remember him and unveil the plaque, which was made possible by the Cincinnati Fire Foundation . Matt Alter, president of Cincinnati Firefighters Union, said the fire department now operates in pairs and keeps somebody posted by elevator doors, changes inspired by Gordon. "It really brings it home that when you can lose an experienced firefighter like Daryl that we should all take a step back," Alter said. "You can't take any day for granted. You never know what's going to happen from one day to the next." Thousands attended Gordon's funeral last year. He died when he fell down an elevator shaft while working to save people in the King Towers apartment complex in Madisonville. He was close to retirement after serving for 30 years. City leaders and Rev. Royce Winters remembered Gordon April 1, 2015, at St. Peter in Chains Cathedral downtown.